BlockRx is a series of initiatives by iSolve which leverage the Blockchain and iSolve’s Advanced Digital Ledger Technology™ (ADLT™). The platform is a comprehensive solution to fully integrate Life Science Researchers, BioPharma, Medical Device Manufactures, and Healthcare Providers to improve Patient Outcomes. The goal for BlockRx is to interconnect systems that do not readily communicate with each other and create data provenance that satisfies regulatory and business requirements. By focusing on creating a network of Trusted Partners that are incentivized, BlockRx provides the solutions for facilitating the transfer of information. Our solution will be the Ecosystem for Pharmaceutical companies to acquire the visibility and traceability they need to maintain compliance with global regulations while incentivizing their trade partners and patients to become trusted participants of the Blockchain. Our solution will revolutionize the way big pharma and their trade partners conduct business today. By realizing new revenue streams, managing costs, and providing secure and simple access to client and patient data, our Ecosystem will enhance Drug Development, Clinical Trials, Drug Supply Chain, and Patient Outcomes. Creation of the iSolce Platform Marketplace for Biotech IP. Partnership with Tech Transfer Office at University of South Dakota. Creation of the BlockRx project. Partnerships. Development of ADLT. Partnerships (Intel, YourEncore). 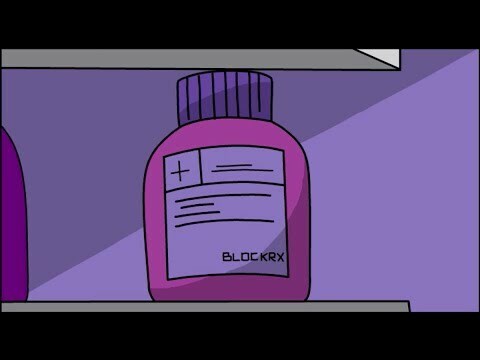 BlockRx token offering. Pharma Co acquiring tokens. Live pharma use case. BlockRx token integration. Resource aquisition.